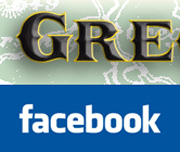 Record piracy has been an issue almost since the first commercial recordings were made available. However, none of the early piracy attempts were a serious threat to the legitimate recording industry until after the First World War primarily because of the high costs needed to duplicate the recordings. The Victor Talking Machine Company and the Gramophone & Typewriter Company were affiliates. They agreed to share technologies as well as recordings in addition to the famous Nipper logo. This relationship assured that the recordings produced in England and the United States were protected by their perspective distribution rights. Records created in England were distributed in the US on the Victor label and recordings made in the States were distributed by G&T using their HMV (His Master’s Voice) label. Agreements were made with other countries such as Germany and Japan. The alliance that G&T made with their German counterpart, Deutschen Grammophon Aktien-Gesellschaft (DGA), was a short lived one. The contracts were signed in 19xx and were dismissed in August of 1914 when Germany was about to enter in war. DGA had in their possession many of the original masters of Victor & G&T recordings for Germany distribution and refused to return them as spoils of war. 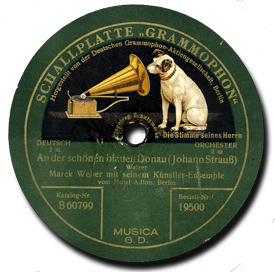 DGA was reorganized as the independant label Deutschen Grammophon Gesellschaft (DGG) in 1917. Polyphonwerke became a subsidiary of DGG and produced records for export. Polyphonewerke tried to distrinute its records in the US but did not succeed. Max Hesslein and his newly formed Opera Disc Company struck a deal with Polyphone to distribute the recordings made by Victor and G&T that they had the masters of which included performances of Caruso, Kresler, Alda, Journet and others. 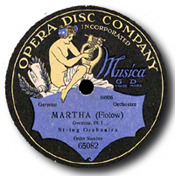 The Victor Talking Machine Company, of Camden, New Jersey, has today filed in the United States District Court, at Brooklyn, New York, a suit against Max Hesslein, the Opera Disc Company, Incorporated and the Opera Disk Distributing Corporation, to enjoin these defendants from selling so-called “Opera Disc” records, including many by Caruso and other celebrity articts, which in the suit papers the Victor Company alleges are prnted copies of recordings produced by the Victor Company, or in which it has exclusive rights in this country. The Victor Company alleges that these records are being unlawfully manufactured in Germany by a German concern and are being imported into the United States and sold by the defendants in fraud and violation of the Victor Company’s rights and in disregard of the royalty obligations to the artists. The Victor Company also asks for an injunction against the use by the defendants of the names of the famous “Victor” artists which these companies feature in their advertising, that further importation of such records be enjoined, that such “Opera Disc” records now in the posssession of the defendants be delivered to the Victor Company or to the court for destruction, and that the usual accounting for damages and profits be ordered. The ruling came on 31 March 1923 when the District Court ordered Hesslein’s companies to stop importing, purchasing, selling, advertising, or dealing in any way in records by artists under exclusive contract to Victor. In addition, the injunction required the company to turn over all records, catalogs, and advertising material in its possession to Victor.